It would be no exaggeration if I say that I am a lover of Rajasthan. This glorious land of raja-maharajas has always fascinated me and that is the reason why I keep traveling to this classic destination time and again. This time I and one of my friends Rahul decided to plan a tour dedicated to savor an experience of staying in a heritage hotel to experience the lifestyles of the raja-maharajas of the bygone era. So we browsed the Internet for finding out an authentic travel company to book our tour. We finally selected Caper Travel Pvt Ltd as it seemed authentic and reliable as it is a National Tourism Award winner. 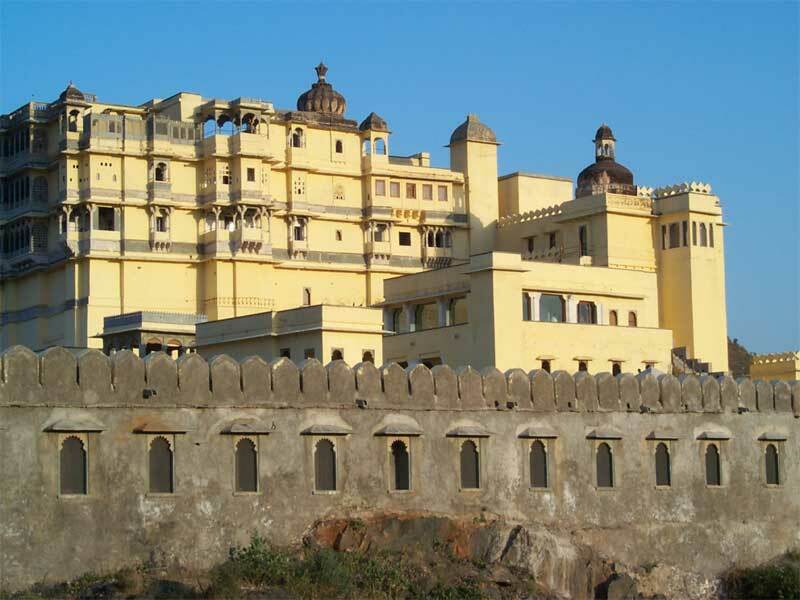 We decided to book the grand and majestic Heritage Hotel Devigarh in Udaipur. 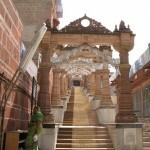 I had seen Udaipur but my friend had not so we choose to visit Udaipur. As we reached the Heritage Hotel Devigarh Fort, we were given a warm welcome with a big smile, flower garlands, and refreshing welcome drink. The view of the heritage hotel was awe inspiring and as we moved further exploring the hotel we were enveloped in a feeling of rapture. As we headed towards our room the attendant who was escorting us told us about the hotel. It was built in the the year 1760 by the Rajpur ruler Raghudev Sing II. A perfect example of traditional and modern, the heritage fort offers 39 suites. Beautiful marble and semi-precious stones have been used as decorative elements in the suites. We had booked the palace suite for ourselves. Just outside the suite was a traditional courtyard which was beautifully decorated. And as we entered our suite we were completely spell bound by its decoration and royal ambiance. Now the kingly feeling was enveloping us and we were getting drunk on it. As the attendant left we started using our skill, which was never there, to figure out the names of the semi-precious stones used in decoration. The furniture, the paintings, the floor, the bed, and even the glass of the washroom was so royal. The back door of our suite opened into a balcony which offers refreshing views of gorgeous green fields and the mountains surrounding the hotel. All the modern amenities were present in the suite. Traditional materials and motifs are used to create modern designs and white marble has been used liberally. After refreshing ourselves we went for dinner to the restaurant of the hotel. The hotel offers several options for private dining. We opted for Sheesh Mahal for dinner. It was mind blowing, just like a stunning palace. It reflects the glorious history of Rajasthan in the form of beautiful frescoes and mirror work. Traditional low Indian seating and rows of candles added more charm to the setting making it a prefect place for dining. Sitting here and feasting on traditional Rajasthani food was itself a ‘special occasion’ for us. This was the best dining experience I ever had. For recreation of the guests this heritage hotel offers Spa therapies and massages, health club, yoga and meditation classes, beauty parlor, swimming pool, bicycle trips, camel safari, horse riding, trekking, kite flying, pool table, library, shopping arcade etc. Everything about this heritage hotel is royal and classy. We enjoyed our stay to the fullest and the next morning we were slated to go for sightseeing.